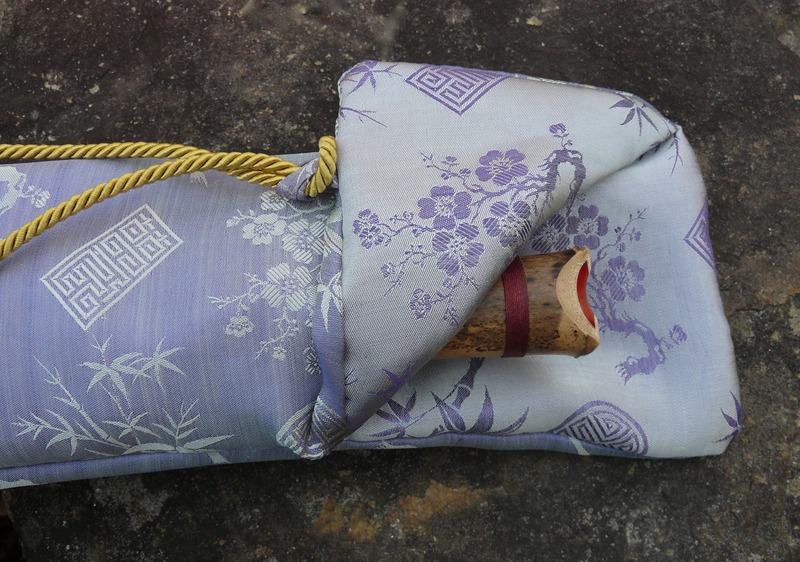 This flute bag is made for a 1.8 size shakuhachi or other flute about 19-22 inches long. 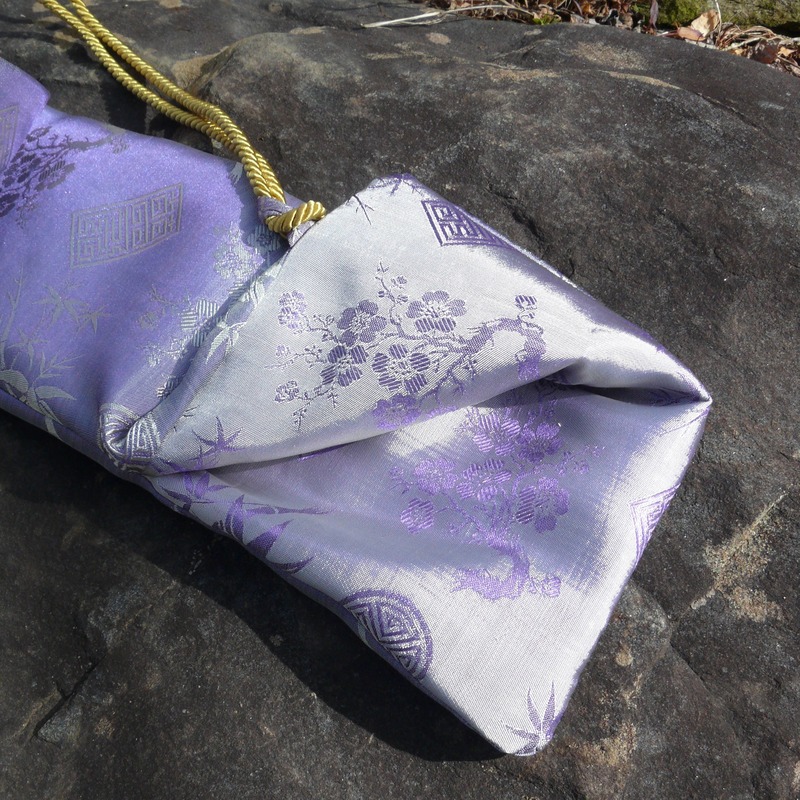 These hand crafted flute bags are lined inside with a hidden polypropylene vapor barrier to help keep the moisture content of the flute stable. They also have a padded liner to help protect your flute from bumps and scrapes. Crafted in a traditional Japanese style. 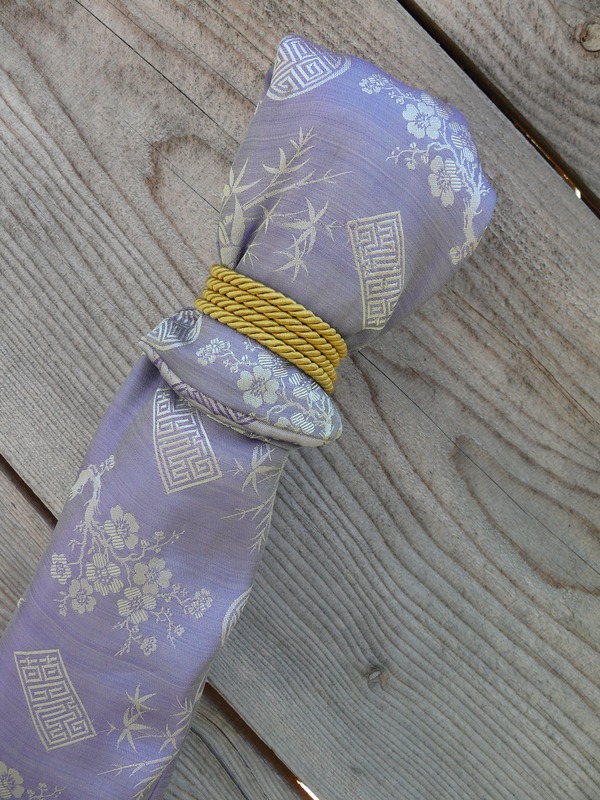 Designed for the shakuhachi – will also work well for Native American and other bamboo or wood flutes! 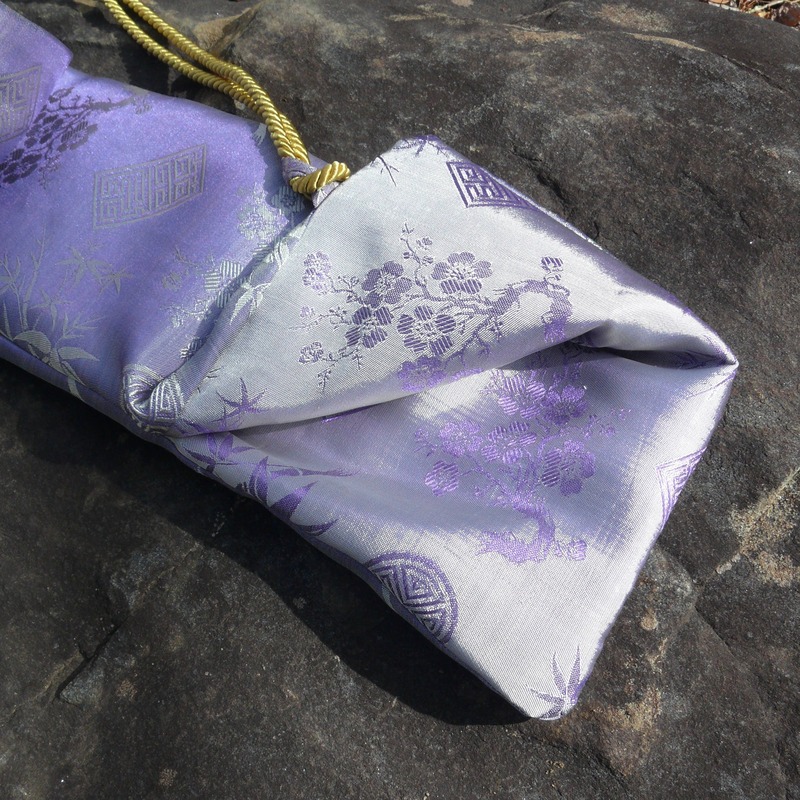 The outside of the flute bag is made with beautifully iridescent fine silk and viscose blend. This fabric is hand woven in a small village in Vietnam, where old jacquard looms are still used. Patterns are a loom embroidered effect with centuries-old symbols and characters of longevity and happiness, interspersed with plum blossoms and bamboo. "Golden Thread silks are made at the village level, they work with one family. The family spins the thread, weaves and dyes the silks in buildings that surround their home courtyard. The family they work with is paid a comfortable living wage for their beautiful silks. These silks ARE NOT Factory Produced!" Made in the Appalachian Mountains of NC! * Display flute not included. **** If you are not 100% satisfied with your purchase, return it within two weeks in original condition, for your choice of a complete refund of purchase price (excluding shipping & handling) or replacement with another item of the same value.